Major sponsor: Strong Financial Network. Also sponsored by KXBX 98.3 and KNTI 99.5. 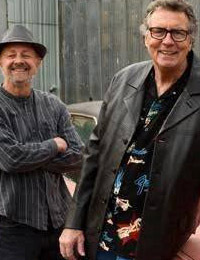 Bill Noteman, harmonica virtuoso and entertaining front man, is skillfully supported by original members and local legends "Mojo" Larry Platz on guitar, David “Rockin 88’s" Neft on keyboards, bassist Dave “Fingers” Falco and drummer Steve "The Shuffler" DuBois. Don't miss the great dance party this down and dirty, body shakin' blues outfit brings to the Soper Reese every January. Open seating. Dance floor open.